Racing is just about as southern as sweet tea, mason jars, and Cheerwine. And it&apos;s a sport that is authentically North Carolina - NASCAR racers will forever live in the shadow of those who raced moonshine across county lines under the watchful eye of the prohibition-era lawman. And racing is about to get a new home in Johnston County, NC. Built outside of Benson, GALOT Motorsports Park overlooks land renowned for its rural heritage and moonshine-making history. How appropriate then for the area to now also be home to a first class racing facility. Like the merging once again of two inexorable things that time has separated. GALOT Motorsports Park was formally known as the Dunn-Benson Dragstrip. In August 2013 Mr. Earl Wells bought the facility with a simple mission in mind: to build a race track that racers could depend on and a first class facility that would maximize the race fan experience. As visitors to the park will discover when it opens officially this Spring, Mr. Wells certainly accomplished his mission. 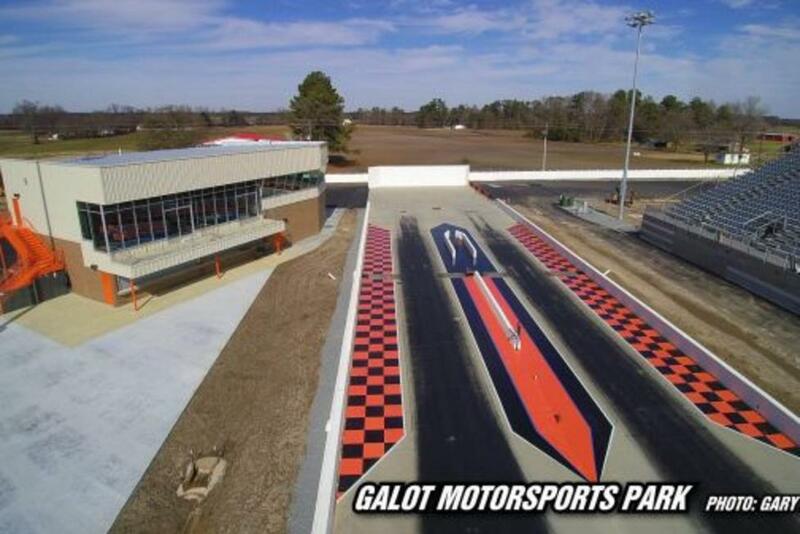 GALOT is a state-of-the-art facility designed with the race fan and racer in mind. The facility features stadium seating for 9,000 spectators, two LED video boards, an indoor concession and souvenir stand, along with two climate controlled tower suites," according to Charles Myers, the Media Relations Coordinator. Racers will have the benefit of a climate controlled starting line, asphalt parking, a speed shop, and 70 R.V. electrical hook-ups. 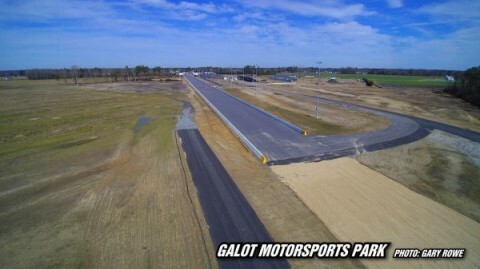 GALOT Motorsports Park is also certified as the flattest racing surface in the world, which will allow racers to obtain maximum performance. The park is racing at its finest, but also at its purest. As a child I lived only a few miles from a motorsports park. Locals and visitors alike would flock to races on warm summer nights. Even from miles away I could stand in my backyard and see the white glow of the bright lights blotting out the lowest stars in the sky. I could hear the hum of powerful motors racing together to the finish line. For fans of the sport, racing is in the blood and it leads to a passion for other sorts of events. GALOT hopes to provide a variety of events to become a true entertainment complex. According to Charles, GALOT also has a dedicated tractor pulling venue. In addition, the pit area of the track is paved, allowing GALOT to be used for a wide range of driving events. In it&apos;s opening year GALOT already looks to host multiple events starting in late March going throughout the rest of 2016. They will host the NHRA Division 2 Lucas Oil Divisional, which will attract the best racers from all over the east coast. And if you are into fast, heads-up drag racing, GALOT Motorsports Park is scheduled to host the PDRA DragStock event where cars will accelerate from 0 to 250 mph in just 3.5 seconds. Charles adds that, "if drag racing is not your &apos;cup of tea&apos; then you might enjoy our Mule City 300 which happens to be the first NTPA Grand National Tractor Pull of the 2016 schedule." GALOT even plans to host an event this year where Monster Trucks take center stage! Whether it&apos;s the noise of the crowd, the thrill of the speed, or the impressive horsepower, GALOT Motorsports Park aims to be your new go-to entertainment venue for an old southern tradition. Find out more information on their website and don&apos;t forget to check out the upcoming events calendar. And while you&apos;re in Johnston County for motorsports and moonshine, check out all the other things we have to offer so that you can make your GALOT experience a weekend trip for the whole family.